The Abinger Cookery School and Fish & Pips both come from a team of culinary enthusiasts, with the desire to extend this passion to their customers through the work and lifestyle they love. From the chalet kitchen to Michelin starred restaurants, supper clubs to large-scale catering events, hotels to traditional country pubs; the driving forces that created this cookbook have a creditable array of experience behind them when it comes to cooking. A focus on outstanding food is what has set Fish & Pips apart from other chalet companies during their many successful winter seasons. The link with the Abinger Cookery School is therefore a natural partnership. While Fish & Pips strive to provide some of the best dining experiences the Alps have to offer, the team at the Abinger Cookery School run a selection of fantastic cookery courses based in their beautiful converted country pub in Surrey. 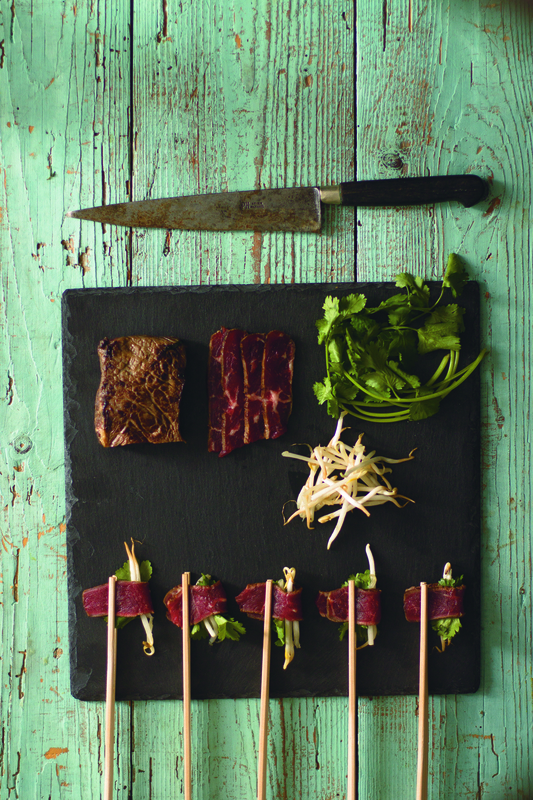 Fittingly, The Abinger Cookery School specialises in training chalet cooks for the winter seasons with their one, two and four week Chalet Cooks courses, teaching everything from the basics to creating fine cuisine in a chalet environment. With these Alpine foodie credentials, it’s not surprising that a fair few recipes have stood the test of popularity and altitude. Many a menu has been planned, new ideas have been tried and tested, and it’s safe to say that the team knows what works and what doesn’t. Fish & Pips and the Abinger Cookery School also understand the pressures of cooking in a chalet; the time restrictions, sticking to a budget, occasional lack of the correct ingredients, cakes failing to rise… the list goes on. 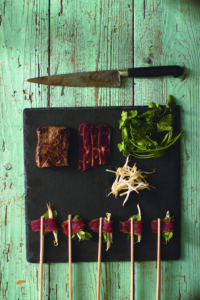 These issues often translate to cooking at home; and these recipes are therefore fail-safe, with tried-and tested methods that we know you will enjoy both creating and consuming! 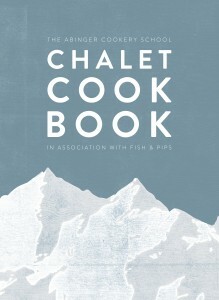 The Chalet Cook Book has been carefully compiled from a collection of absolute favorites. There’s something for everyone: the very basics, a family lunch, an afternoon tea and dinner party dining to impress. The ethos at Fish & Pips and the Abinger has always been to share our love and experience of all things foodie with our guests, students and everyone we encounter along the way. We can’t wait to share our new cook book with you; and hope to see some of you either at the cookery school or out in the Alps.